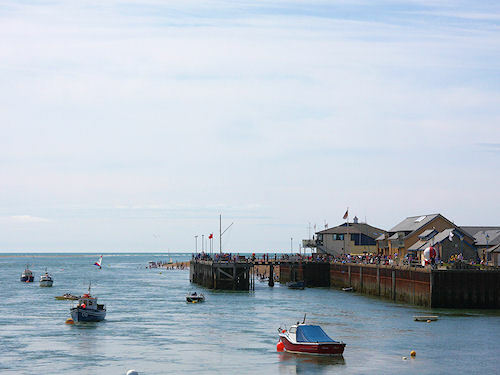 Activities Aberdovey Aberdyfi - Things to see and do in the local area. 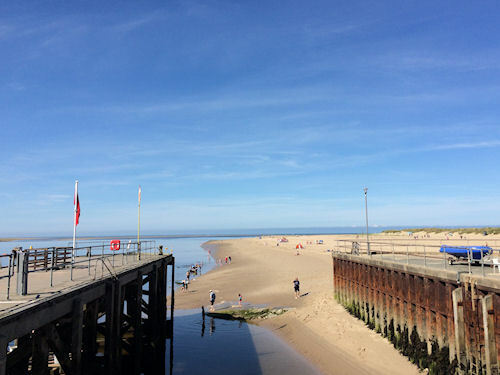 Aberdovey offers a wide range of activities from a gentle stroll along the colourful main frontage, where you can call in at the one of the local pubs, inns, restaurants or cafes for refreshments, or maybe some retail therapy at one of the many small village shops. 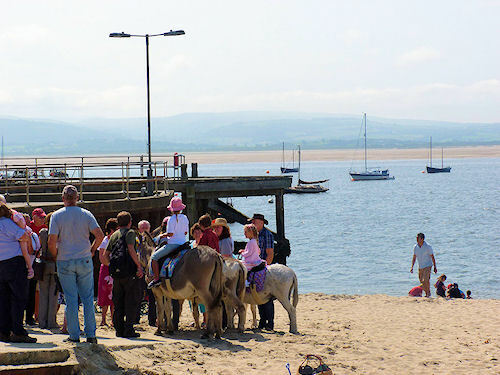 Aberdovey has something for everyone including traditional donkey rides in the sand dunes and a children’s playground very close to the beach. 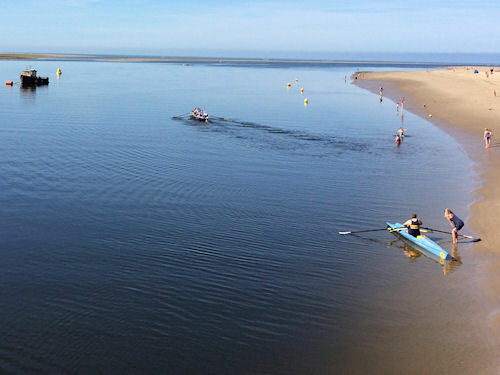 For the more energetic Aberdovey is a great place for mountain walks, climbing, swimming, cycling, sailing and yachting, rowing, kayaking and kite surfing, fishing and golfing. 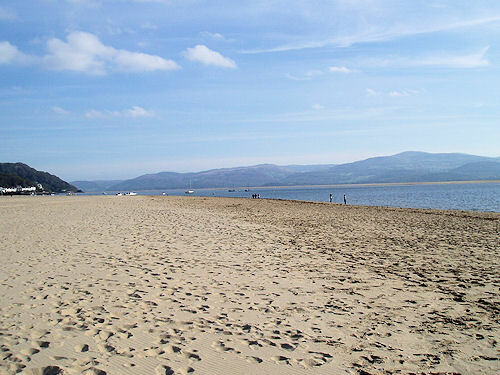 The sandy beach of Aberdovey is a good place to relax, sit in the sun, build sand castles, and watch the small boats bobbing on the water. The R.N.L.I. station and shop are right next to the slipway, selling souvenirs and also used books. Watch out for the events and activities held at the station during annual Lifeboat week held during the latter part of July. Crabbing is a very popular pastime for young and young at heart alike! Purchase bait and crabbing lines and a bucket from one of the many small shops in Aberdovey and while away the hours on the jetty. 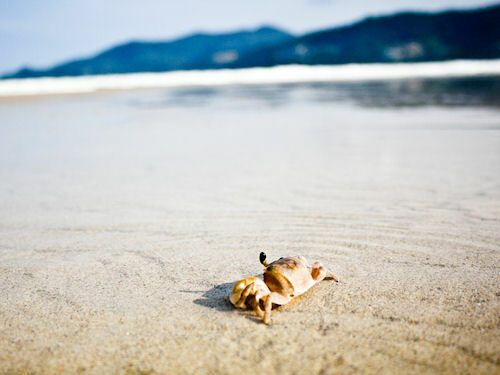 Catch as many crabs as you can, but please store them in a bucket of sea water, and don’t forget to return them to their natural habitat at the end of the day. 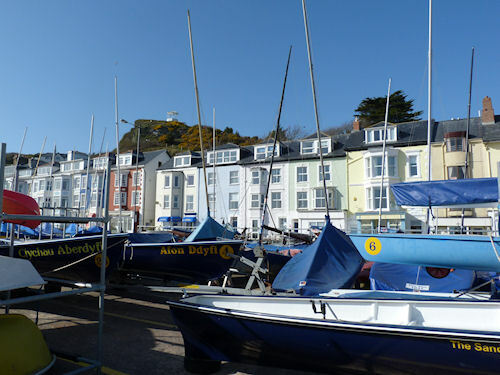 Sailing on the Dyfi (Dovey) estuary is very popular and Dovey Yacht Club offers both annual and temporary membership for visitors. 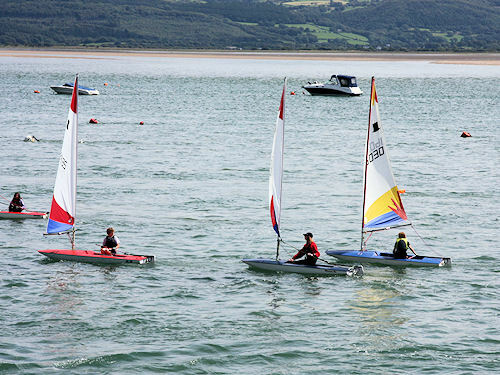 Sailing events are held from Easter through to September, and regular visitors to Aberdyfi just love to see the fleet of small dinghies as they make their way around the estuary, in their bid to be first past the finishing line! Special events and races take place over Easter, Spring Bank Holiday and Dovey Fortnight in July and not forgetting GP/Laser/Solo Week which takes place in the latter part of August. 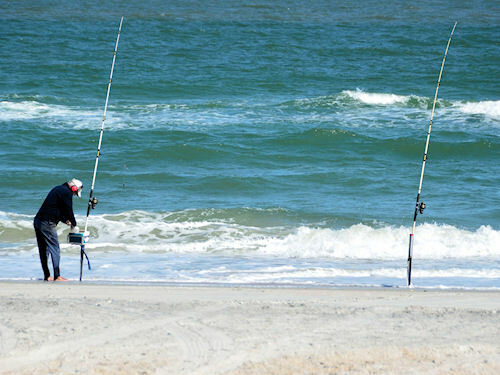 Fishing from land or sea is available with catches of mackerel, bream, sea bass and tope, to name but a few of the fish that are caught off Aberdovey. There are several fishing boats operating from the jetty including Mikatcha which offers regular sea fishing trips for the more adventurous angler, please note that pre-booking is usually required. Kite Surfing has taken off in a big way in Aberdovey. 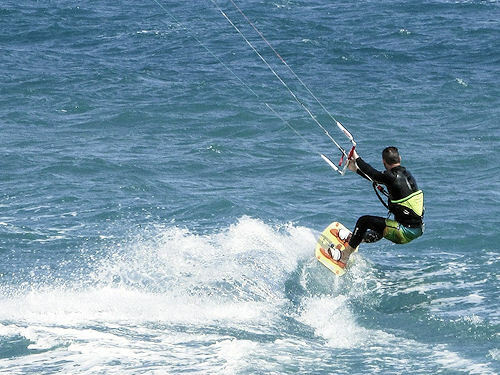 Shem from Kite Surf Wales has lots of experience and offers individual or group tuition in all aspects of kite-powered activities. From basic power-kite flying through to kite buggying, kite mountain-boarding and kite surfing. Activities for those looking for a challenge are on offer at Adrenalin Antics Richie Rocket is the guy to speak to about gorge walking, canyoning, cliff jumping, rock climbing, abseiling, raft building, mountain and hill walks, zip lines and much more. Aberdovey boasts a splendid 18-hole links golf course, with great greens and the promise of a warm welcome! The golf course follows the coastline of Mid Wales; and is shadowed by the ever changing sand dunes, which form part of the 4 mile stretch of golden beach running from Aberdovey to Tywyn. The golf club is located on the main A493 heading towards Tywyn and just a 5-10 minutes walk from the main frontage of Aberdovey. For a good walk, which will reward you with fabulous views, follow Copperhill Street up from the village, turn right for Mynydd Isaf, and follow the road round whilst still walking up hill, turn left at the top of this road onto a single track road. This will lead you to the mythical Bearded Lake or Llyn Barfog (its name in Welsh) which was the scene of a battle between King Arthur and a monster called the Afanc. Arthur’s horse left its hoof print in a nearby rock known as Carn March Arthur. The lake is also the scene of another well-known legend regarding a local farmer and his herd of magic fairy cows. If you are going there by car, you can drive up the road until the tarmac runs out; leave the car near the gate. You will then have to walk the final part to reach the lake with sturdy footwear recommended.